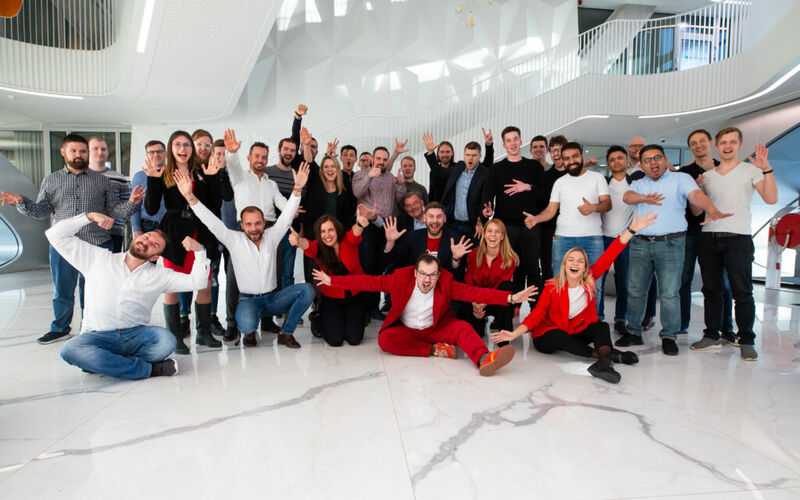 2019 is marking a big milestone for us — we have officially gone pan-Baltic and are proud to launch the first Startup Wise Guys program in Lithuania with 13 B2B SaaS startups! One of many programs to come with the help of EU funding and group of active private investors. This batch is so far the largest we have had in terms of number of startups, and also probably one of the most diverse ones in terms of business areas. From custom fit glasses, marketplaces for grain growers and drone pilots, to marketing and sales tools, electric vehicle charging platform and more. We have selected 13 startups from more than 300 applications. Lithuanian startups clearly had been waiting for an opportunity to accelerate at home, as there are multiple teams from Lithuania, as well as startups from Latvia, Estonia, Ukraine, Turkey and Czech Republic. First time ever we are also having teams from Yemen, Macedonia and Azerbaijan. AgroPlatforma (Latvia) — First ever electronic B2B marketplace to connect grain growers and buyers to close deals on-line in Baltics and across Europe. Airdas (Latvia) — Building a Marketplace to Connect drone pilots to present and future drone based services. Amio (Czech Republic) — Amio unifies chat protocols for developers, allowing businesses to have a unified interface to each customer across all possible chat services. CHRG Network (Lithuania) — CHRG Network is electric vehicle charging platform that connects all charging stations into a single network all across Europe, making Electric Vehicle charging accessible as air, everywhere for everyone. Dear Deer Eyewear (Lithuania) — Inspiring people’s expression with custom-fit colorful glassess, adapted to your mood and facial shape. GoRamp (Lithuania) — GoRamp is private platform to help for logistics heads and managers to manage all transportation orders in one cloud service. H-Finance (Lithuania) — is the European digital lending company. HODL Finance issues loans backed by cryptocurrency and other digital assets. HangaarLab (Turkey) — HangaarLab develops Industrial AR Platform that helps enterprises increase productivity with wearable software and hardware. Houseys (Lithuania) — We maximise owner yield professionally managing apartments for short-term rent with our own and external tech tools. Meazy (Ukraine) — Fully automated remarketing platform made solely for e-commerce, helping turn visitors into buyers. Portal365 (Yemen) — NGO management software with machine learning system for grant writing and management with cloud services. Qpick (Macedonia) — Qpick is an AdTech that helps small merchants advertise effectively and allows shoppers to shop in Tinder-like style. VITS (Estonia) — Developing a platform for health and hafety specialists to manage health and safety activities effortlessly.